Construction Worker: Here comes the sugar man. Good songs and there's a screenplay. 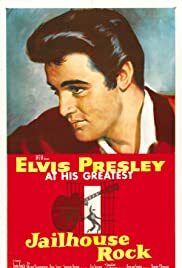 "Jailhouse rock" belongs to the handful of Elvis flicks which are watchable ,nay even entertaining:there is also "love me tender" "King Creole" and the best of them "flaming star". 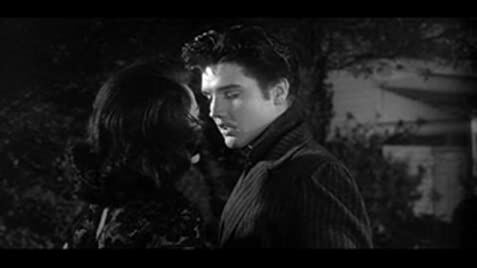 There's a real director here (Richard Thorpe) who is not a drudge like Norman Taurog.The songs (the title track and "treat me nice" ) are very exciting and kept to the minimum.There are several interesting scenes ,notably the one when Elvis visits his (female) manager's folks and is confronted to a bunch of snobs :Elvis in his rebel's part indeed. On the other hand ,the scenes in the jailhouse -except for the whipping- may seem tame by today's standards.